RFID (Radio Frequency Identification) supports Supply-Chain-Management processes through automated identification and data acquisition. Hence it is an enabler for seamless integration of physical resources with IT-systems. On the example of the automotive industry this article shows how the supply chain can benefit from the integration of physical resources, how companies can proceed with the adoption of RFID and what critical success factors they must consider. A higher degree of integration and automation improves process efficiency and quality, which reduces manual labour and failure costs. Case studies show that these cost savings can justify the investment in RFID systems. Companies can adopt RFID step by step in order to minimize their investment risk and to achieve an efficient degree of integration. Before they start with the implementation of RFID systems, they should determine their own need and consider economic and technical requirements. The dynamic of technology and the market will simultaneously favour the expansion of RFID in Supply-Chain-Management applications. National Highway Traffic Safety Administration (USA): Transportation Recall Enhancement, Accountability, and Documentation (TREAD) Act. http://www.nhtsa.dot.gov/nhtsa/Cfc_title49/publ414.106.pdf, Abruf am 2004-07-12. SAP: SAP Auto-ID Infrastructure, Integrating and Leveraging Sensing and Identification Technology. http://www.sap.com/solutions/netweaver/autoidinfrastructure.asp, Abruf am 2004-05-20. Sarma, Sanjay; Brock, David L.; Ashton, Kevin: The Networked Physical World, Proposals for Engineering the Next Generation of Computing, Commerce & Automatic-Identification. Auto-ID Center White Paper, MIT, Cambridge. http://www.autoidlabs.org/whitepapers/MIT-AUTOID-WH-001.pdf, 2000, Abruf am 2004-05-16. Smart Labels Analyst: Authentication and Counterfeiting Protection Conference Review. In: Smart Labels Analyst 13 (2002), S. 1-3. [StFl03] Strassner, Martin; Fleisch, Elgar: The Promise of Auto-ID in the Automotive Industry. Auto-ID Center White Paper, MIT, Cambridge. http://www.autoidlabs.org/whitepapers/MLB-AUTOID-BC001.pdf, 2003, Abruf am 2004-05-16. Venture Development Corporation: The Global Market and applications for Radio Frequency Identification and Contactless Smartcard Systems, 4th. 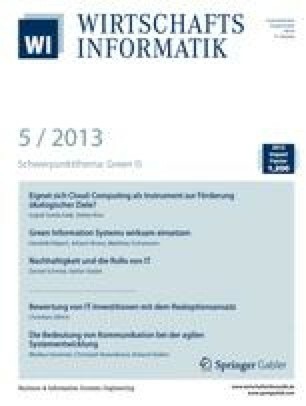 edition 2003. http://www.vdc-corp.com/autoid/white/03/03rfid.pdf, Abruf am 2004-05-16.